As of December 2018 the LC GoOpCo Manuel #1, LP was successfully completed. We designed online, interactive tools to help interested investors easily explore and evaluate the partnerships we offer. No personal or financial information is required to view and interact with the software. 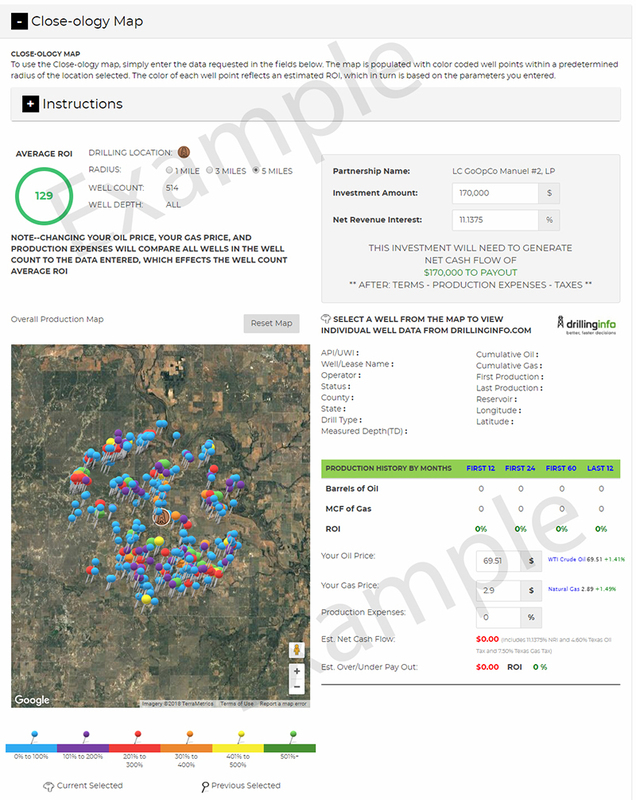 See the average ROI of our prospect based on surrounding well production, partnership investment terms, oil and gas prices, production expenses and State taxes. Exclusively powered by Drillinginfo well data. 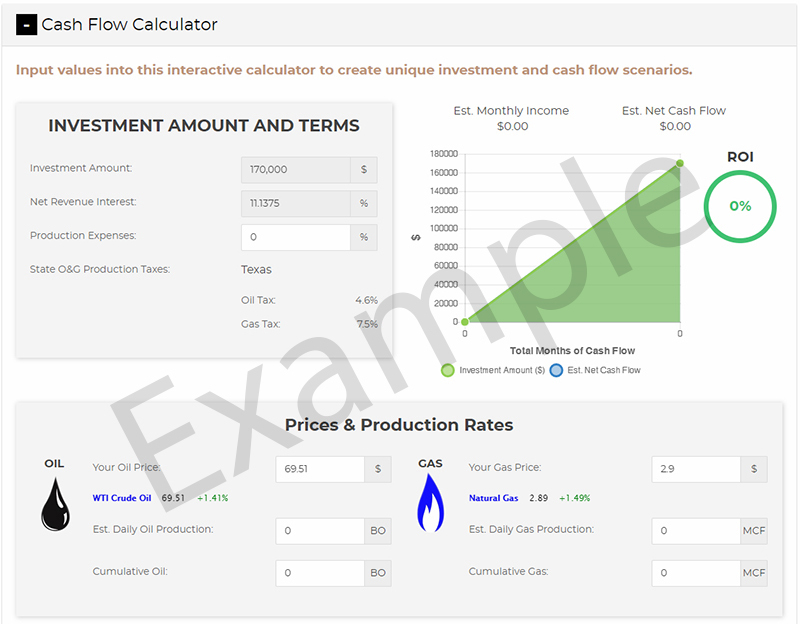 This interactive calculator allows you to analyze wells selected from the Close-ology Map or create and explore your own investment scenarios. Easily compare past oil and gas production by well based on partnership investment terms, oil and gas prices, production expenses and State taxes. 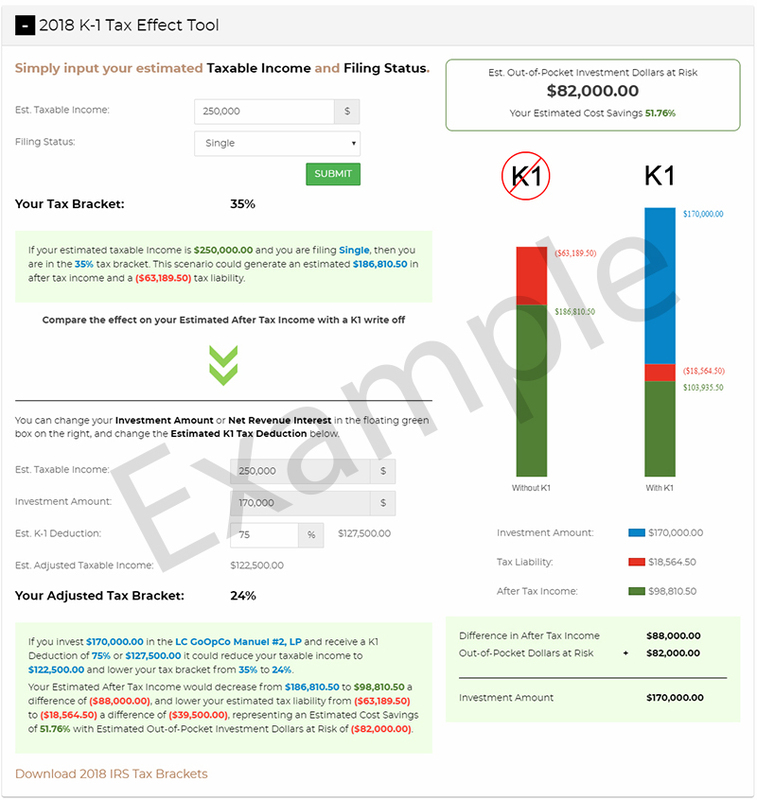 This comparative tools helps you estimate the impact of an oil and gas drilling partnership on your taxable income and more. Let us know and contact us today!